Snook season opens tomorrow. Please abide by the FWC regulations, one per person per day, 28" - 32". Our resources are NOT unlimited. To report wildlife violations call 888-404-3922 or text Tip@myFWC.com. Winds are blowing out of the South-Southeast this morning at 9 mph, gusting to 14 and there is a moderate chop on the water. Tropical Depression 9 will move North-Northwest in the Gulf today. We have a small swell at second peak this morning; there are a few surfers in the water taking advantage. NOAA is calling for scattered showers and thunderstorms today and poor to hazardous conditions for small craft through late week. Mangrove Snapper and Mutton Snapper are coming over the rails intermittently. A few nice Mutton Snapper have been in the mix as well. Lookdowns, Blue Runners, Jacks, C/R Snook, Lookdowns, Whiting and Spanish Mackerel are making appearances too. Our first photo features Charlie Achinelli of Melbourne. Charlie fished the north jetty and reported rough conditions but he managed to land Mangrove Snapper on the ripping outgoing tides. He landed his limit of five. Photo two is of a nice 14" Mangrove and photo three is of his limit. As requested, here is a brief lesson snook fishing. Snook are unquestionably a warm water or tropical species. Though these guys can be caught year round in much of their range, they certainly are most aggressive and abundant in water above 75 degrees. Spawning takes place in and around inlets and neighboring beaches with adequate depth and current. Typically this happens between late May and early August peaking around the full moons of those months. Spawning fish are by far the largest, most aggressive, most easily caught. 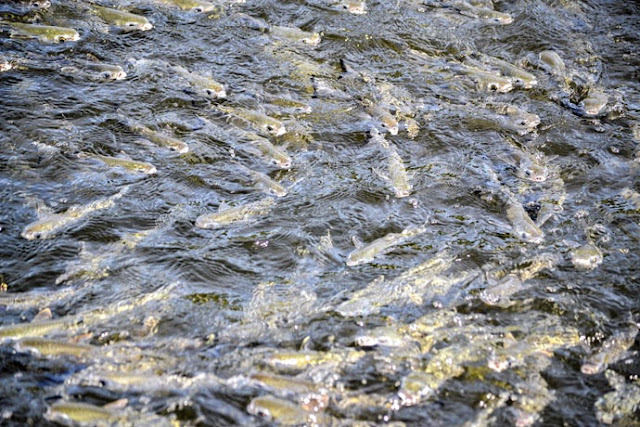 With schools of snook numbering into the hundreds or even thousands, the competition is fierce making for fast action. Ethically, I prefer not to target snook around the spawn to avoid stressing or inadvertently killing them. This means fishing the new moon periods between the spawning moons. Dark nights make the fish more aggressive. A new moon with a positive tide of +2.0 or more at peak high will mean heavy outgoing current at the switch, thus concentrating the fish in areas of slower water. The boulders and washouts along the bottom of deep water inlets and passes are where the snook will hunker down during the strongest tides. Bucktailing in areas of high current, being sure to occasionally knock the jig against the rocks, can be deadly effective during positive tides. This is particularly true if you are targeting keepers in season. Bigger snook, however, are much lazier. They will nearly always be caught in the slow water. Bottom fishing with fresh dead mullet, live croakers, pinfisj, pigfish or grunts will get you into the giants. Lure fishing with 6-9 inch swim baits, Magnum sizes of bombers, wind cheaters, x-raps and shad raps is equally effective. courtesy of Big Dave's land based lessons. How to get tight! We are going to see some wet, windy days ahead of us as the Tropical Depression 9 makes its way up into the Gulf. This morning winds are blowing out of the East-Southeast at 20 mph, gusting to 24 and there are dark clouds and intermittent showers at the inlet. Winds are predicted to increase this afternoon and NOAA is calling for small craft to exercise caution. Fishing on days like this can be productive. Throw on some rain gear and give it a shot! Mangrove and Mutton Snapper have been biting; big Reds, Jacks, Lookdowns, Blue Runners and a few Margate and Spanish Mackerel, Sennet and Whiting have been landed in the surf. Our angler of the day is Bobby Brown of Indialantic. Bobby has been getting out doing some extra fishing before his brother in law Steve Kelley comes down from Maryland in November, he wants to make sure he catches the biggest Red! Bobby landed today's oversized Reds using mullet on a jig head. The big Reds are released unharmed to fight another day. The tropical system in the Atlantic didn't bring us the weather we expected over the weekend. It was a little windy but we had lots of sunshine and very little rain. The wind is still kicked up this morning, it's blowing out of the East at 12 mph, gusting to 15 and there is a moderate chop on the water. NOAA is calling for a chance of scattered showers and thunderstorms today. Tommy Turowski at the Sebastian Inlet Bait and Tackle Shop reported a fair bite over the weekend. A few summer Flounder came over the rails along with the Mangrove Snapper and a few Muttons. Oversized Reds, C/R Snook and Spanish Mackerel were active. 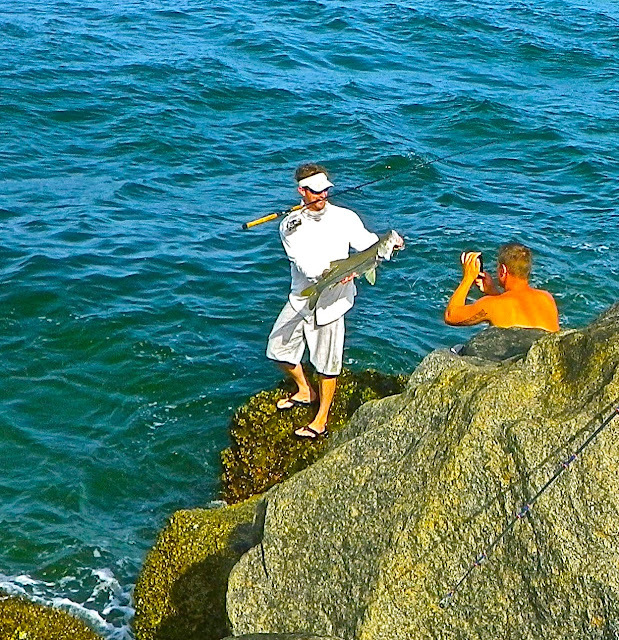 Inlet regular Mike Ricciardi of Vero Beach fished the north jetty Friday afternoon. He reported a slow bite but he still went home with three Mangrove Snapper, landed on finger mullet he netted in the tide pool. A few visitors were using shrimp and had good luck with Snapper, they also landed a good sized Margate and a couple of Spots. The only large fish he saw was one C/R Snook that was landed on a croaker. Our angler of the day is Alec Barton of St. Cloud. Alec and his father Bob made their way to the inlet. Bob reported the water was so clear that you could see the bottom clearly and big Reds and Jacks were shooting around the jetties along with some large Rays in the 12' range. Alec hooked into a nice 10 lb. Jack that ate a greenie on 12 lb. braided line. The big Jack took them for a nice ride around the inlet. The Snook and Tarpon are still being caught in the inlet in Ft. Pierce and there have been many Tarpon caught at the power plant. There have been a few nice Reds caught pitching the mangroves with mirrodines and super spooks in the morning around Little mud. Reports of a big school of Finger Mullet have been spotted in Stuart. It certainly has been a wet week for the Treasure Coast. It was a challenge some days to get out and beat the storms. Looks like that will be the norm this week again. Plan your adventures carefully and check the weather before you get out. It's still hot as August always promises and will be that way for a while. With some low tides, the best bite has been around the inlet and turning basin. Bonito, mackerel, jacks and ladyfish are following the glass minnow schools in with the tides and it's been crazy. You can bet there are sharks around as well. I enjoy this month with all different fish that you can catch. The snook bite has been good at night and early mornings. Top water, DOA Bait Busters and live bait can get you a good bite. There have been quite a few tarpon coming in with the tides. First light is a good time to try for one. 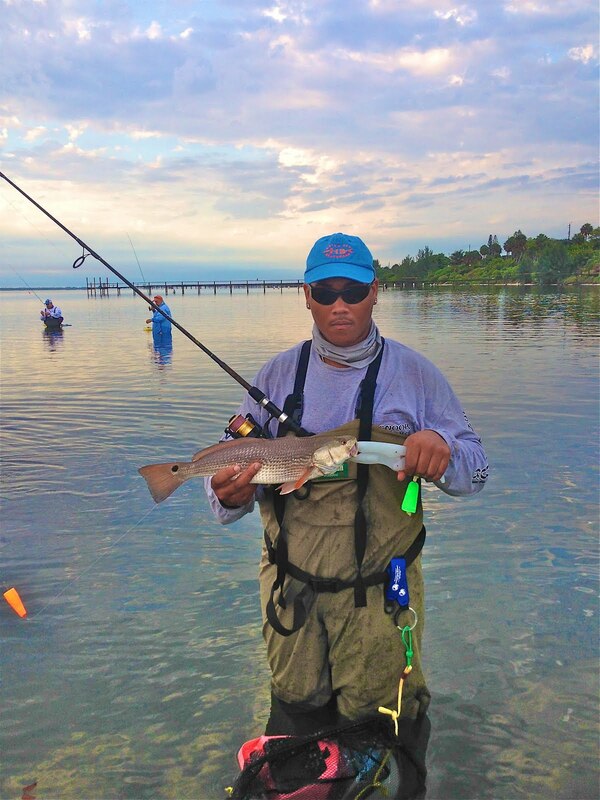 Try the mangroves for a chance at a redfish or try a top water lure on the grass flats in early morning. It's great living on the Treasure Coast! Keep hydrated and use plenty of sunscreen this time of year. The heat can sneak up on you and knock you for a loop! OUR WEB CAM IS DOWN. WE ARE ADDRESSING THE SITUATION. We have added a new feature to our web site. Under "Useful Links" we've added the Sebastian Marine Forecast. Northwest winds are blowing at 10 mph this morning. Hurricane Gaston in the Atlantic is beginning to stir up the wind and will bring us some needed rain. Right now he is predicted to weaken before gaining strength again, and then veer off to the Northeast. That is good news for us although local showers can develop quickly and pack some high gusting winds. Mangrove Snapper remain the draw for our jetty anglers. We've had a real good Mutton Snapper run this summer too. C/R Snook are hitting, oversized Reds, Blue Runners, a few Spanish Mackerel and Whiting are in the surf. Our photos today are courtesy of George Olmo of St. Cloud. George reported when he was out with friends over the weekend, the Mutton Snapper bite was on fire. George agreed to tell us where he is from and that he was free-lining live shrimp but he won't disclose his secret spot and we can't blame him! George lost three Mutton Snapper; the first was devoured by a Barracuda. After that, four nice ones were landed along with a Porkfish. Photo one is of George with one of the Mutton Snapper and photo two is of his catches that day. There is great action in the surf along Jensen Beach throughout the day, although early morning and evening are best. There are big schools of jacks and a big number of whiting and croaker. Tarpon and a few snook can also be snagged. The inlets of the Treasure Coast are still filled with snook, and there’s a great trout bite in the Indian River. A few tarpon can be found out in front of Little Mud Creek and Big Mud Creek, and there are mangrove snapper around the docks and seawalls. Jacks and snook are biting during the early-morning hours in the surf along Jupiter. The expected storm this weekend will likely force the finger mullet south and into the area, which should improve the beach fishing in the area. Snook, snapper and jacks are all holding in and around the Lake Worth (Palm Beach) Inlet, and small numbers are also showing up in the surf. The occasional tarpon can also be spotted rolling in the surf along Palm Beach. In the Intracoastal, there are snook cruising around but not in big numbers. If you’re fishing inside in and around central Palm Beach County, the best bet is targeting snapper and jacks around the bridges. Anglers fishing around the Boynton Beach Inlet are reporting big schools of snook. There are tarpon around as well, along with snapper, jacks and permit. These may also be spotted along the beach (the snook bite has actually been excellent in the surf early in the morning), but inside the inlet seems to be the hot spot. The south end of Lake Okeechobee has been great for catching big numbers of bass, especially early in the morning. The offshore islands are still very productive, and live shiners and topwater artificial lures are both working well. For best results, be on the water by first light and back on land by 10 a.m. Once the sun is up and the temperatures rise, the bite is pretty non-existent. Crappie, bluegill and catfish are also being caught. We had a little bit of rain early this morning and we could see more throughout the day. Winds are blowing out of the North at 9 mph, gusting to 10 and there is a moderate chop on the water. NOAA is calling for 3 - 4' seas with a dominant wave period of 5 seconds. The Gulf Stream will build to 5 - 6' by tonight, creating hazardous conditions. The bite has been decent, particularly for summer. We've seen a good Snapper bite, Mangroves and Muttons, C/R big Reds, big Jacks, a few Spanish Mackerel, a few Bonito, Lookdowns, Blue Runners and C/R Snook. The bait situation is changing; greenies have thinned out, glass minnows are scarce but there are a few mullet in the water. Our first photo today features Charles Nuduba who made the drive over from Winter Park. Charles was fishing the south side using small greenies on light tackle when he landed three C/R Snook and three Mangrove Snapper. Charles reported many Eagle Rays in the water that day. For the record, Charles has never landed a Snook in season, the proper size in the past six years. You are not alone Charles, many of us know that feeling. All the Snook were released unharmed. Our second photo features Jeff Loveday of Palm Bay. Jeff was fishing near Coconut Point on the south side of the Park when he landed the C/R Snook using a red and white diving bomber. The Snook was released unharmed. We have a warm summer morning at the inlet. Winds are barely moving out of the Northeast with an occasional gust of 2 mph and the water is calm. It looks like we will have nice boating weather over the weekend. Always check the NOAA forecast prior to boating as conditions can change very quickly. We have seen a decent Mangrove Snapper bite that was confirmed by Bob Green of Vero Beach. Bob fished the north jetty yesterday afternoon and landed a total of 10, keeping his limit of 5. He kept throwing the smaller 10 - 11" Snapper back, hoping for some bigger ones. He got his wish with five in the 12" - 15" range. Bob said one nice Mutton Snapper came over the rails and one Summer Flounder was landed. Tommy Turowski at the Sebastian Inlet Bait and Tackle Shop reported all the glass minnows are gone, the greenies have scattered and there's not many in the water now. A few finger mullet are swimming around. 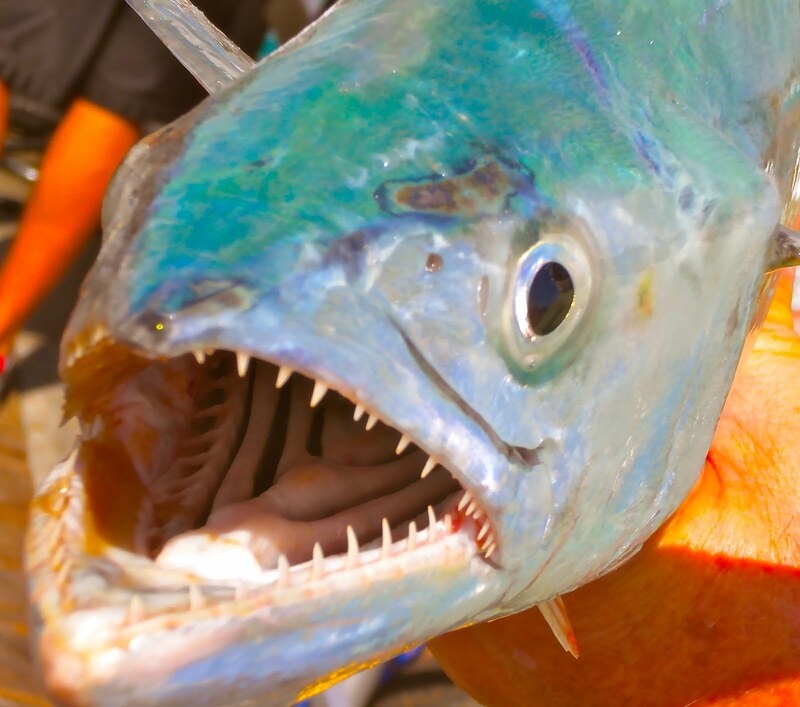 Blue Runners, Jacks and Spanish Mackerel round out the catches. Our is of Bob Greens Mangrove Snapper he landed yesterday afternoon. INSHORE: Catch and release snook fishing remains the best bet inshore right now. The snook are fired up around the bridges at night, and some big females can be sight casted off seawalls early each morning in the river right now. The outgoing tide will produce best around the bridges, while low light periods are key for having any luck with the snook in the river. Large flair hawk style jigs, swim baits, and bigger live baits are all great choices for the snook right now. 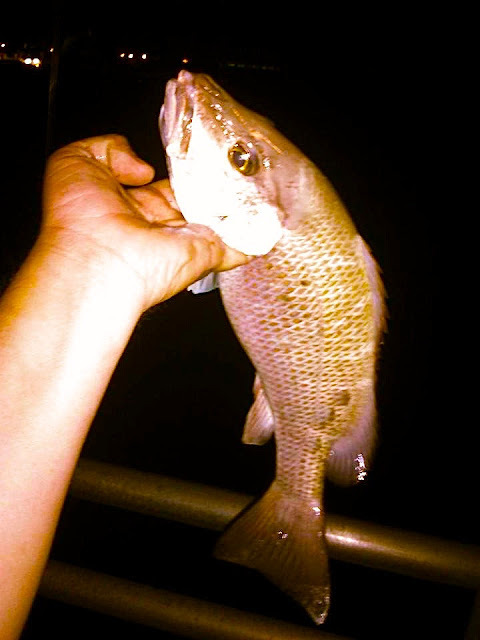 The mangrove snapper are biting around area bridges at night on small live pilchards and shrimp. Resident tarpon are popping live shrimp around dock lights at night in the ICW. SURF/PIER: The Juno Beach Pier had some nice fishing this week, though the calm forecast is not ideal for the weekend. Spanish Mackerel have been around the pier in fair numbers. The bobber rig and small live baits are good choices for the macs right now. Bonita continue to push the bait around, and are a lot of fun to hook on light tackle. Catch and release snook fishing remains hot. A few mangrove snapper are biting each morning. Croaker are biting small live shrimp in the surf. Lots of good stuff going on right now. 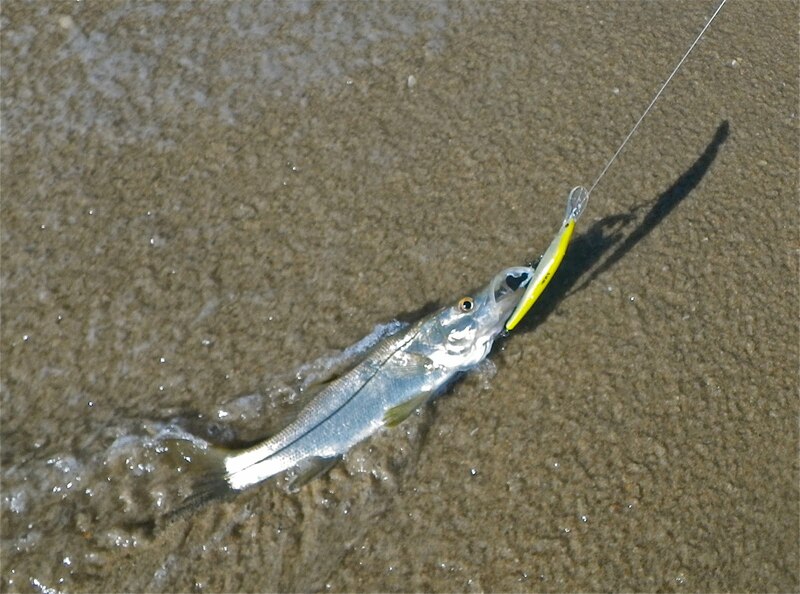 Jacks, snook, whiting and croaker are all being caught in the surf along Jensen Beach. Tarpon are also in the mix. Early morning and evening have the most productive, but the fish are there throughout the day. Big trout are biting in the Indian River north of the powerplant. Tripletail are holding near the pilings, and the snook fishing has been excellent around the inlets and docks. Those targeting tarpon are having success around Little Mid Creek and Big Mud Creek. The snook fishing has been good along the beaches of Jupiter and also in the inlet. Anglers are gearing up, as snook season opens on Sept. 1. There haven’t been many reports from in the Intracoastal Waterway this week, but snook are holding near the Jupiter Inlet and they can be found cruising through the flats. Jacks are always around as well, along with a few smaller tarpon. Fishing the bridges and dock lights at night is always fun, too. A few snook and jacks were reported in the surf along Boynton Beach, but the best action is around the jetty at the Boynton Beach Inlet. Tarpon have also been spotted in this area and are are rolling early in the morning through the Intracoastal in the Boynton Beach area. At the bridges, anglers are catching snook, tarpon and moonfish at night, along with small snapper. Good numbers of bass, including a few large fish, were being caught on the south end of Lake Okeechobee this week. The best spots are still the offshore islands, and that should be the case for the next month or so. At that point, they will begin moving toward spawning areas. You still want to get out on the water early in the morning for best results. Once the sun rises and the temperature heats up, the bite cools down…tremendously! Live shiners and artificial lures are both working well. If you opt for artificials, try topwater lures, as they seem to be the most effective at this point. In addition to bass, anglers are also catching a good number of crappie, bluegill and catfish. We have a steamy morning at the inlet. Winds are barely moving out of the East-Northeast at 1 mph with an occasional gust to 2 and there is a light chop on the water. We have a full moon tonight and plenty of bait in the water. NOAA is calling for a slight chance of showers this morning. Snapper continue to draw anglers to the jetties. We've seen some real nice Mutton Snapper this summer but the Mangroves are the most prevalent. Tommy Turowski at the Sebastian Inlet Bait and Tackle Shop reports a slower bite this morning with just a few snapper coming over the rails. Big Reds, a few Blue Runners and Jacks are hit or miss. Spanish Mackerel are out there but have been keeping out of casting range. Before you go fishing, be sure to review the FWC guidelines and regulations. Take a look at the top right corner of this page for catch and release information. Also, please review "Jetty Etiquette", which will help you and those around you have a more pleasurable fishing experience. Our first photo today features Mo Amrani of Orlando. Mo was using mojarra when he landed the beautiful 22" Mutton Snapper in the photo. Mo reported it was quiet most of the day with a few Mangrove Snapper coming over the rails but the bite turned on around sunset. Photo two features Ashley Hill with a nice C/R Snook he landed off the south side rocks. The Snook was released unharmed right after the photo. 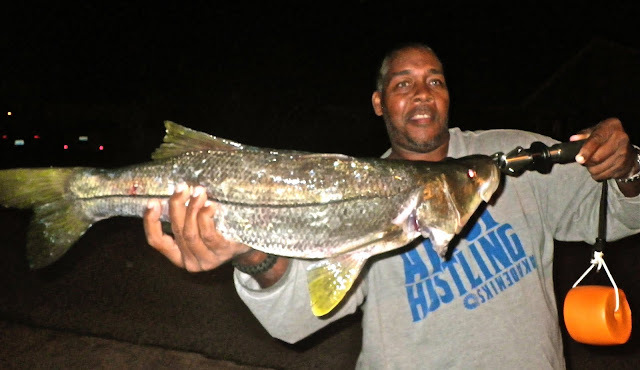 Surf Fishing for Snook Workshop August 20, 2016. 1:00 - 3:15. Workshop introduces anglers to the art of surf fishing for snook. Discussion will center on several tactics for catching snook in the surf with live bait and lures. Also included will be information on rods/reels, rigging hard, soft plastic lures and live baiting options. Anglers should bring a pern/pencil and something to write on. Snook season opens September 1st. Inshore: Heard of some trout and redfish to the south around Little Mud on doa shrimp. Spanish Mackerel are in the turning basin as well as a few tarpon. Snook are still on the beach, doa jerk shads and lipped plugs are working best. We have dark clouds hanging over the inlet this morning. Winds are blowing out of the Northeast at 4 mph, gusting to 16. NOAA is calling for a slight chance of thunderstorms this morning but it looks like the chances are pretty good, go prepared if you head to the inlet this morning. We received an update from Paul Szoke of Palm Bay. Paul reports a decent snapper bite this week although next week could be different with the coming full moon tomorrow night and prevalent outgoing tide. Paul has had good luck on the outgoing tide using cut mullet for bait. Thanks Paul! Our photos today are courtesy of Jonathan Reese. Jonathan and his son Brenden fished the north jetty. The father and son duo fish the inlet 60 - 75 times a year and this last trip landed several slot Mangrove Snapper and a Jack using mojarra. Mutton Snapper were missing that day. Around 4:30 p.m. they landed oversized Reds within 10 minutes of each other, about the same size. The Reds were quickly photographed and returned to the water unharmed. Photo one features Brenden Reese and photo two features Jonathan Reese. Excellent catches, gentlemen. It's another lovely morning at the inlet. Winds are blowing out of the Northeast at 3 mph, gusting to 4 and there is a moderate chop on the water. NOAA is calling for 2 - 3' seas with a wave interval of 4 seconds so it may be a little bumpy out there today. There is a slight chance of showers and thunderstorms this morning and afternoon. The Mangrove Snapper bite continues in waves, and anglers using small baits and lures are having the best luck. One of the inlet regulars landed a five lb. Mangrove Snapper recently, that's big for inshore; several real nice Muttons have come over the rails as well. 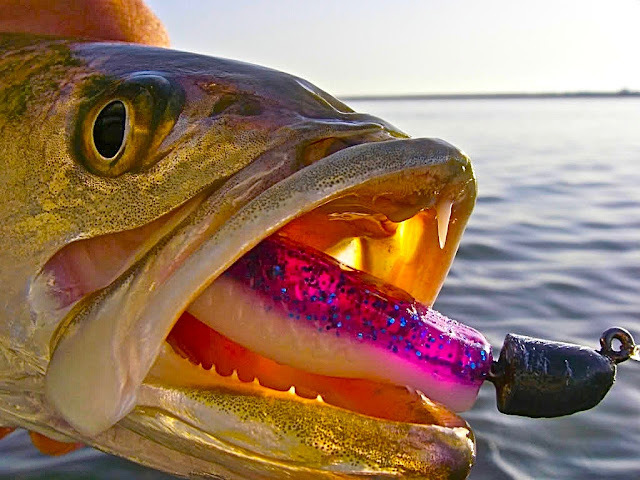 Jacks, Blue Runners, oversized Reds and C/R Snook are active. Tarpon can be seen rolling in the surf and there are still are lot of greenies in the water. Our photo today features inlet regular Bill Hillman of Kissimmee. Bill was using a croaker in the early afternoon to land the 37" C/R Snook in the photo. The Snook was released unharmed right after the photo. We have another pretty morning at the inlet. Winds are blowing out of the East-Northeast at 4 mph, gusting to 5 and there is a light to moderate chop on the water. There are no NOAA advisories this morning except a slight chance of showers and thunderstorms. 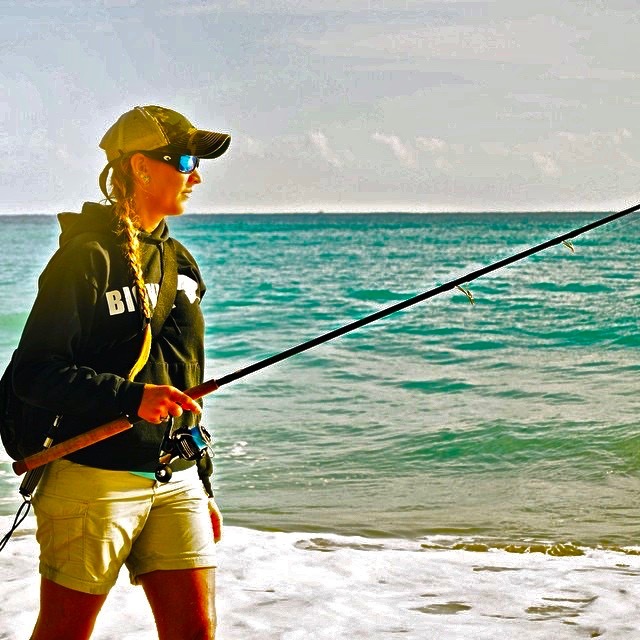 Over the weekend, the bite was decent according to Sarah at the Sebastian Inlet Bait and Tackle Shop. Snapper were the most prevalent species with the majority being Mangrove, although a few Muttons came over the rails too. Big Reds and C/R Snook were active and a few Spanish Mackerel were landed. The bite turned off this morning. Our photo is of a Leatherjacket landed by Skip Stowers of Kissimmee. Inshore the snook fishing has been great around the bridges and in the inlet with live bait on the out going tide its still catch and release but season will be open in a few weeks. The has been a few nice trout reported around Midway road to the Power plant on the west shoreline soft baits have produced the best. INSHORE: Snook fishing remains the main game in town right now. Getting a little closer to season, and a little closer to seeing some finger mullet schools. Bridges will be producing at night on the outgoing tide, while seawalls remain a good choice early in the morning and late in the afternoon. A live mullet, flair hawk, spooltek, or big swim bait would all be a good choice right now for the snook. A few tarpon and jacks will be mixed in with the snook. Mangrove snapper action has been fair at night around the bridges. Outgoing tide tends to produce best for the mangroves. 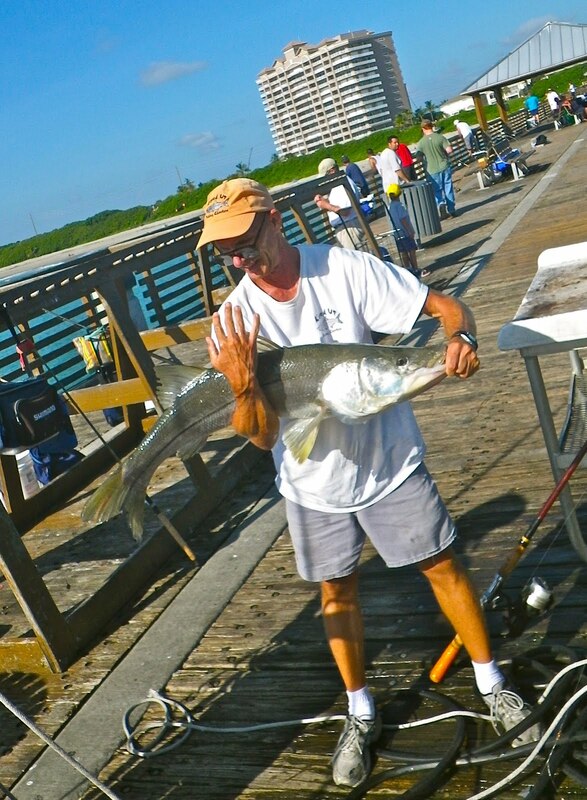 SURF/PIER: Catch and release snook fishing remains the main game in town right now, and it has been good. Lowlight periods remain the best, but the snook will bite on an incoming tide as well. Small jigs, swimming plugs, and Vudu mullet are all good choices for the snook right now. The Juno Beach Pier has been good with lots of snook, a few kingfish, scattered cero mackerel, and a few tarpon all in the mix. Croaker and whiting are biting well in the first trough on small live shrimp. Should be a fishy weekend along the beach. We are seeing the usual cast of characters coming over the rails of the jetties. Mangrove Snapper, a few Mutton Snapper, oversized Reds, C/R Snook, Blue Runners and Spanish Mackerel are making appearances, although not in large numbers. We have new anglers trying their hands at fishing all the time. Be sure to review the FWC regulations, recommended jetty etiquette, catch and release information to ensure you and those around you have an enjoyable day of fishing. The Sebastian Inlet State Park has adopted a NO CAST NETTING rule from the end of the north jetty. The nets end up tangled in the rocks and are not retrievable, creating death traps for the many fish that swim around the inlet. Cast netting is permitted at the beginning and middle of the jetty where there are no rocks. Cast nets are not cheap, save your money and our resources by following the no cast netting from the tip of the jetty rule. Our photo today is of Justin Ridley who was vacationing from Delaware. He fought the Mutton Snapper like a champ! He had another angler borrow a Bridge net and assisted in bringing the fish over the rails. Justin was using a chicken rig and cut finger mullet to landed his nice fish. 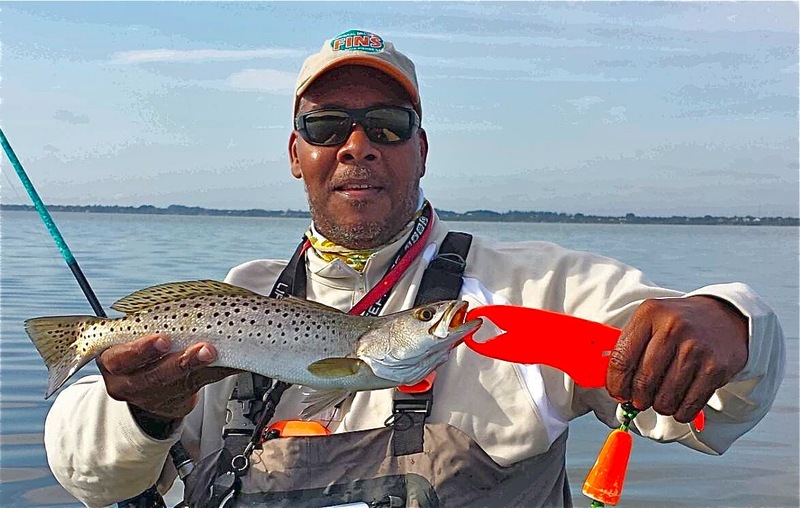 Inshore – The inshore bite has been slow but productive if you can get out before the heat. 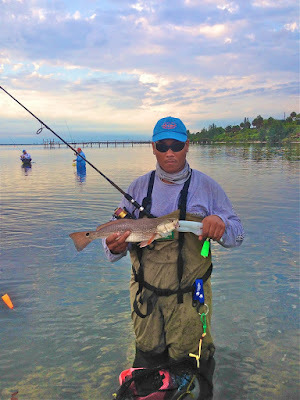 The redfish and trout bite has been good as well as the mangrove snapper fishing on the bridges and the channel ledges throughout the river. There are also some snook still hanging around the jetty. We are back to lots of sunshine this morning and very little wind. East-Northeast winds are barely moving and gusting to 2 mph, there is a light chop on the water. There are no NOAA advisories except a slight chance of showers and thunderstorms. Seas should be cooperative today. Yesterday the Mangrove Snapper bite was decent in the afternoon according to Charlie Achinelli of Melbourne. Charlie landed his limit of slot Mangroves, a couple were real nice size. Charlie reported a real nice Mutton came over the rails as well. C/R Snook were actively being caught and released from the north jetty. REMINDER: Please lower the C/R Snook in the net you used to bring it over the rails, the drop from the north jetty is rough on the spawning fish. Always hold the fish horizontally with your hands under the jaw and belly to photograph; holding them vertically can damage their internal structure. For more information on proper handling of catch and release species, look at the links in the top right corner of this page. Our first photo today is courtesy of Alec Barton of St. Cloud. The Red was a 36" C/R Red that was landed using a live greenie. Photo two is of Charlie Achinelli's Mangrove Snapper from yesterday. Big jacks, plenty of snook and some tarpon are being hooked in the surf along Jensen Beach. In the Indian River, tarpon are biting in the crossroads and near the inlet (although that will likely slow in the coming weeks). Snook can be found cruising the river and can always be targeted near structure, such as bridges, docks and seawalls. Tripletail are hanging around the channel markers. Snook are being caught along the beaches of Jupiter, and a few nice permit were also hooked. In the Intracoastal Waterway around Jupiter, snook can be found heading for the inlet and also around the bridges. Big numbers of keeper-size mangrove snapper are also holding near the bridges. Snook are biting in the surf along Boynton Beach and also in the inlet. Tarpon and mangrove snapper are also being caught around the inlet. Tarpon have been rolling between the Lake Worth and Boynton Beach inlets toward the Intracoastal bridges. Snook and tarpon are being caught around bridges as well. 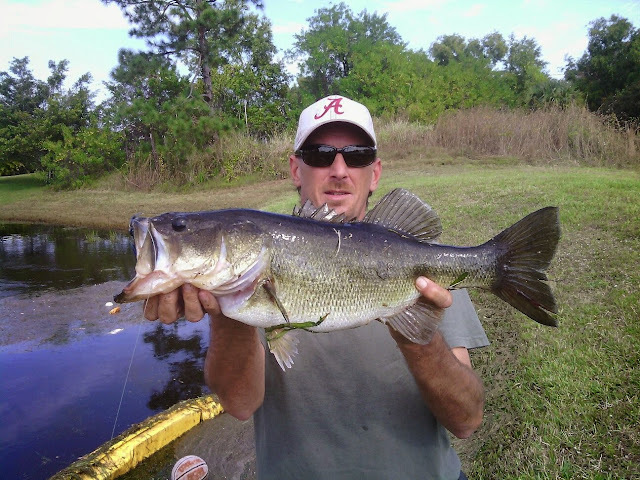 Fishing the offshore islands of Lake Okeechobee has been productive for targeting bass. Big numbers are being caught in the early-morning hours, especially by those who are on the water by first light. The window for catching is fairly small with the heat this time of year, so getting out early – and finishing early – really is the key! Live shiners and artificial lures are both working well. We have an overcast morning at the inlet. Winds are blowing out of the South-Southeast at 7 mph, gusting to 11 and there is a light chop on the water. NOAA is calling for a chance of showers and thunderstorms this morning and showers are likely this afternoon with a chance of thunderstorms. The jetty anglers love the breeze and cloud cover this morning! The bite is always inconsistent during our summer months but we're seeing some of the typical species come over the rails. Mangrove Snapper is a summer favorite and they can be landed on small baits and lures, they don't get very big inshore so keep the proper baits in mind if you are targeting them. An occasional Mutton Snapper will come along with the Mangroves. Jacks, Ladyfish, Blue Runners, Lookdowns, Jacks, oversized Reds with an occasional keeper and of course catch and release Snook. Please handle the Snook with caution as they are spawning and they are delicate. Our angler of the day is Mike Bennett. Mike landed the good sized C/R Snook off the south side rocks on a bucktail in the early morning hours. The Snook was gently released right after the photo. August still brings hot weather, but it has also brought rain lately. Afternoon thunderstorms are the norm this time of year. The rain is much needed for the area with all the dry weather we have had this summer. Plan your outside adventures carefully and keep your eye on the radar as these storms can brew up quickly. Hot, humid conditions will continue this month. The glass minnows have arrived on the Treasure Coast and that brings lots of hungry fish to gorge on them this time of year. Tarpon are around the area now and you can find them in lots of areas, like the beaches, inlets and deep channels. 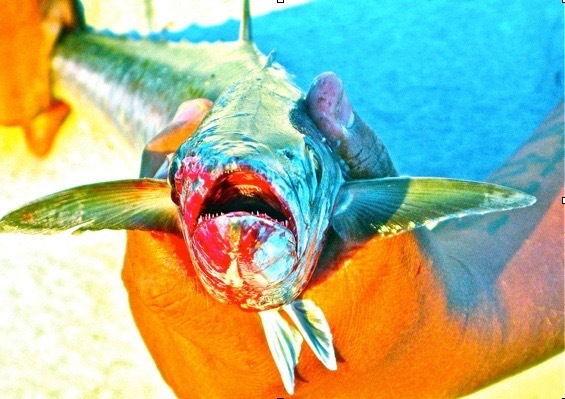 DOA Terror Eyz is a favorite artificial lure for tarpon. Top water and live baits will work as well. Bonito, mackerel and jacks are following the bait schools in with the incoming tides. Watch for the water to boil as these fish feed on the schools..
Look for redfish to be hanging under the mangroves. You can find some snook there as well. Trout will be feeding in the shallow grass flats early or late in the day and moving to deeper water as the sun warms things up. DOA shrimp or CAL jerk baits are great choices for shallow water fishing. I love this month even though it's hot. There is lots of action this month both inshore and offshore, so get out and enjoy the fun! We have a great morning for fishing the inlet. Overcast skies and a nice breeze are keeping the jetty anglers a little more comfortable. Winds are blowing out of the South at 5 mph, gusting to 8 and the water is calm. Winds are predicted to increase in the early afternoon and subside in the late afternoon. NOAA is calling for a chance of showers and a slight chance of thunderstorms. Tommy Turowski at the Sebastian Inlet Bait and Tackle Shop reports a decent bite this morning. One very nice Mutton Snapper came over the rails along with some Mangroves. Lookdowns, Spanish Mackerel, oversized Reds and Jacks are active as well. We still have a lot of bait in the water and the cold water upwelling is pushing fish closer to shore. Our angler of the day is Ryan Wood. Ryan fished the flats near the inlet and landed a huge Bonnet head Shark along with a Bluefish and a Trout. The Bonnet head is in our photo today. Inshore the snook bite has been good in the inlet and around the bridges at night on live bait only a few more weeks till season opens. There has been a few reds around Harbor Branch to Vero on the west shore with a few trout mixed in soft baits and top water at first light have worked well. The snapper bite on the channel edges has been good with live shrimp and white baits. JUNO BEACH FISHING PIER 2016!! 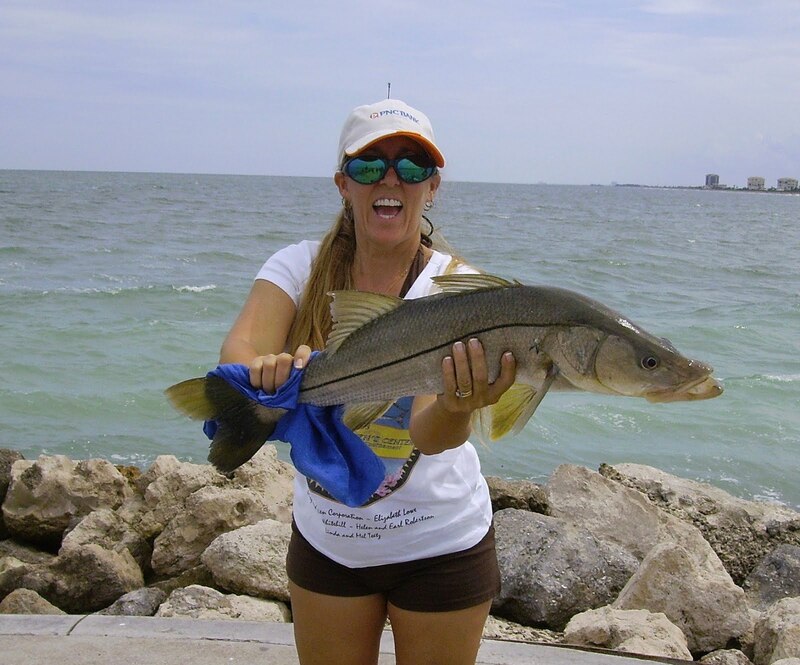 INSHORE: Catch and release snook fishing remains good inshore. 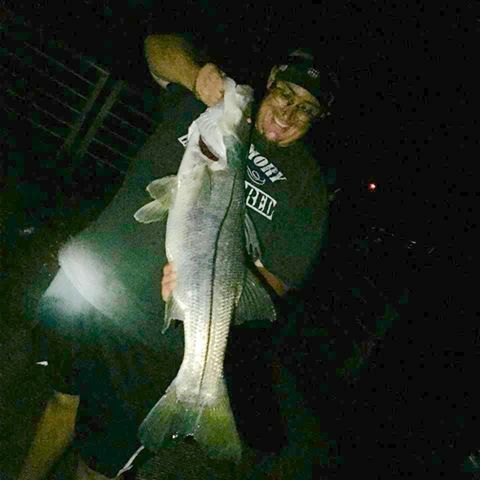 The bridges are producing good snook action on the outgoing tide, and the Loxahatchee River has fish along seawalls early in the morning. The snook, for the most part, are keyed in on big baits; so don't be afraid to chunk some big stuff. If you can't keep em, might as well aim for the big ones. Just be careful with the big spawning females...they are literally holding the future snook fishery inside them. Mangrove snapper are hanging around area bridges at night. Small live pilchards and live shrimp are good baits for the snapper. Mixed reports on the sand perch in the usual inshore spots. 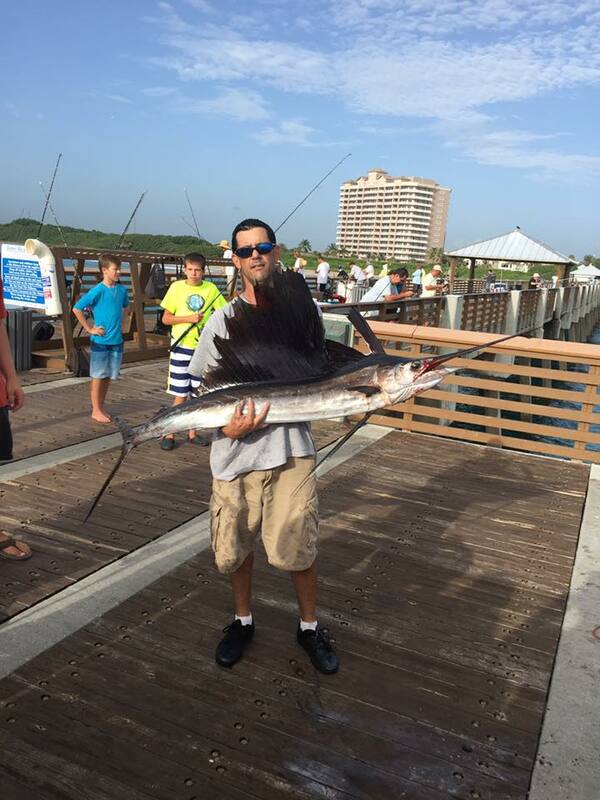 Our good customer Dave picked off a nice sailfish early this morning. A few mangrove snapper are hanging around the pilings, and seem to bite best early in the morning. 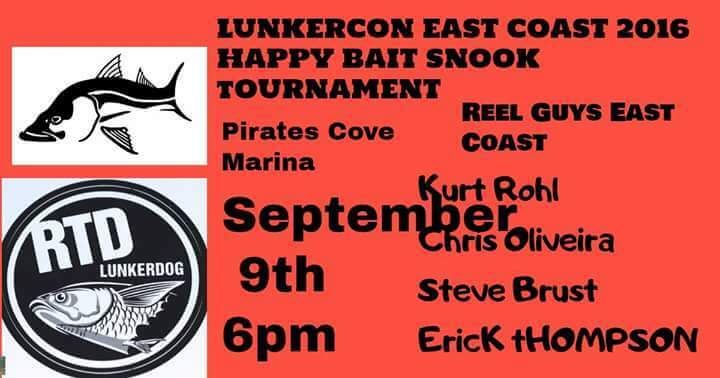 Should be a fishy weekend, give it a shot if you have chance. We have a little breeze this morning! Winds are blowing out of the South-Southeast at 5 mph, gusting to 8 and there is a light chop on the water. NOAA is calling for the wind to pick up this afternoon which will give us more chop on the water. Even with the wind, the no see 'ums are out and biting this morning. Mangrove Snapper, a few Muttons, Blue Runners, Lookdowns, Jacks, Reds and C/R Snook are coming over the rails of the jetties but not in huge numbers. A few Spanish Mackerel are zipping around the jetties as well. Summer at the inlet is typically slow but there have been summers that have been much worse. Our photos today is courtesy of Richard and Pam Winegar of Palm Bay. Pam and Richard sent in some nice wildlife photos taken at the inlet. The photo is of a large Snook in the water, surrounded by greenies that are staying safely out of range! The Snook can still be found on the beach but there hasn’t been a lot of bait. The inlet fishing in Ft. Pierce and Stuart has been good on fly/artificial and live bait. Live Pilchards will be the best bet to catch Snook but small Croakers will get the big ones. 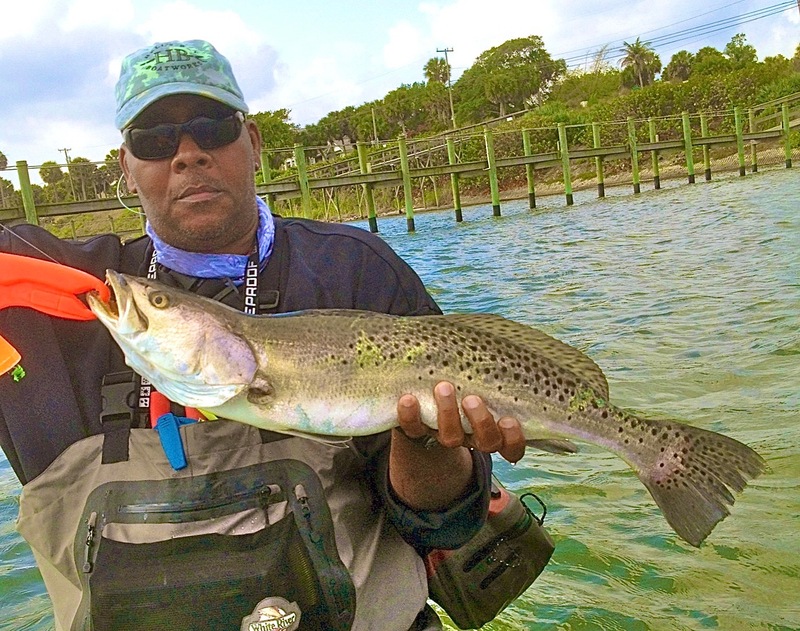 The trout fishing has been fantastic on the flats in ft. Pierce with many gators being caught. There are snook all over the beaches of the Treasure Coast, and tarpon are also rolling through. Fishing the higher tides is best. You can also catch snook and tarpon in the area’s inlet. Tripletail are holding around the channel markers in the Indian River north of the Jensen Causeway. Shrimp seem to be the bait of choice. Snook, tarpon and jacks are also being caught. The action is great at night but even better in the early-morning hours, starting at 2 a.m. Set up near bridges or other structure. There are snook in the surf along Jupiter and also in the inlet, and there are tarpon, jacks and some pompano in the area. In the Intracoastal Waterway, snook, tarpon, jacks and mutton snapper are all holding near docks, rocks, bridges and other structure. The surf has been a hot spot for anglers in central and southern Palm Beach County. From Lake Worth south to Delray Beach, tarpon, snook, permit and snapper (mangrove and mutton) are being caught from shore and also around the jetties of the county’s various inlets. These fish are also being caught in the Intracoastal around these areas along with bonefish. Sheepshead have been thick near bridges. It’s hot out on the Big O and so is the fishing…EARLY in the morning. Getting out on the water before first light is the key to success. By mid-morning, the bite shuts down. However, you can catch a good number of fish before that time. We have a little swell this morning and there are a few surfers in the water taking advantage of it. We have another hot, steamy morning. Winds are blowing out of the South-Southwest at 1 mph, gusting to 3 and there is a light chop on the water. NOAA is calling for a slight chance of showers and thunderstorms today. Mangrove Snapper, a few Muttons, Blue Runners, Lookdowns, Jacks, Reds and C/R Snook are coming over the rails of the jetties but not in huge numbers. It's summer at the inlet and it is typically slow but the water is clear and it's beautiful. Get out and wet a line, you never know what will bite! The heat of July will continues thru August along the Treasure Coast. Expect hot, humid days throughout the rest of the month. We have had a light breeze most days to take the edge off the hot weather for us. Rains continue each afternoon. What can you expect.....it's the rainy season. The glass minnows have been flooding into the river, which is normal for this month. They are a favorite food for fish and fowl. Look for jacks, ladyfish, mackerel and bonito to be feeding on them around the inlet. 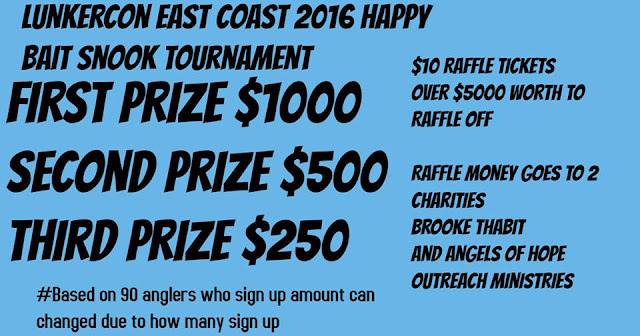 It's a fun month for fishing the inlet areas. We have had some nice size mackerel lately. Small, shiny lures the size of the bait will help you have some fun! 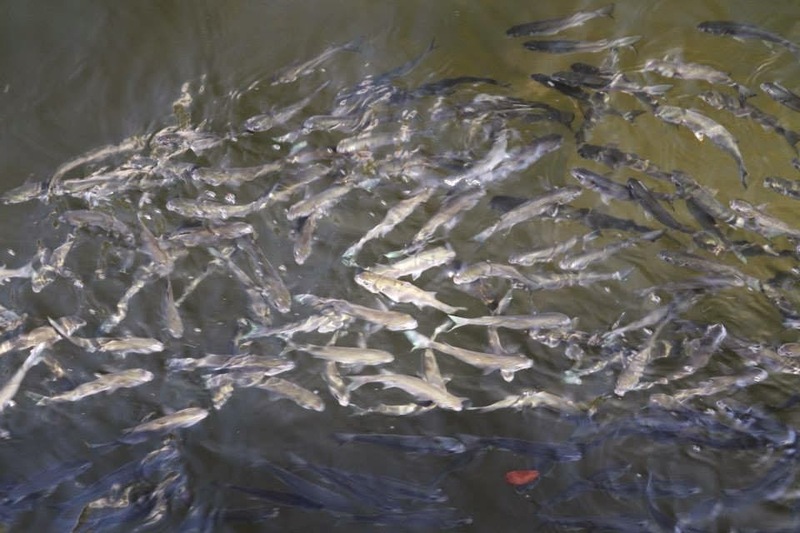 It won't be long before the fall mullet run begins and that will be another active time on the Treasure Coast. Snook season opens on September 1st so check your licenses and permits now to be ready for the opening. It's good idea to check you tackle, rods and reels this month and make sure everything is in good working order. Our trout bite has been slower this month with the warmer water. Early mornings has been the best trout bite with top water or DOA shrimp. Fish grass flats two to five feet deep for best results. We have been catching a number of snook along the mangroves. All have been under slot, but a good fight since they are out of season anyway. Top water, CAL paddle tails or DOA shrimp will all work on snook around the mangroves. Redfish have also been under the mangroves staying out of the sun. Skipping your lure or bait under the mangroves is essential to getting a bite. I like to use the CAL paddle tail to skip under the mangroves. They are under the shadow lines and you have to get back in there if you want a bite. Snapper have been all over the river and many have been keepers lately. Docks, bridges and channel edges have all held good numbers of snapper. The inlet has been invaded by ladyfish, jacks, blue runners and other hungry species looking for an easy meal. Look for the glass minnow schools and you will find plenty of action, especially for the kids! August is always a hot month. Keep hydrated and use plenty of sunscreen this time of year. Snook season opens soon on September 1st. Now is a great time to check your license and snook permit along with all your tackle and gear in anticipation for opening night. There are always lots of first night anglers so it pays to be prepared. Have fun and be safe out there! It's a lovely morning at the inlet. Winds are blowing out of the East at 3 mph, gusting to 5 and there is a light to moderate chop on the water. The ocean side of the inlet is a little choppier than the inlet side. NOAA is calling for a chance of showers and thunderstorms today but right now it's gorgeous. We are seeing the usual cast of characters come over the rails at the inlet. Mangrove Snapper remain the most active. A few Mutton Snappers are in the mix. Please be aware that the size limits are different for snappers. Mangroves are 10" although most don't keep them unless they are at least 11", Muttons are 16", Cubera are 12" and Lanes are 8"! If you aren't sure, ask another angler or return it to the water, it isn't worth the fine. Schools of Jacks have been busting through the schools of greenies which have been plentiful. Lookdowns, Ladyfish, Reds, Blue Runners and C/R Snook round out the catches from the jetties. Tarpon, Bonito and Sharks are in the surf.